Hallelujah! Another faith-based movie is about to hit the silver screen. 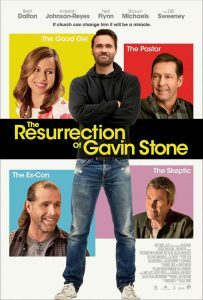 The Resurrection of Gavin Stone is like no other. The film is a comedy which brings to the screen the important and powerful messages of love, faith, forgiveness, grace and second chances. 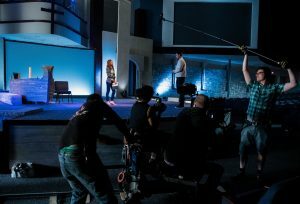 The movie, which stars Brett Dalton, Anjelah Johnson-Reyes and Shawn Michaels, focuses on a washed-up former child star, played by Dalton, who is forced to do community service at a local megachurch. 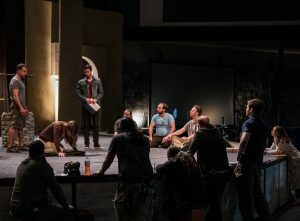 In order to land the part of Jesus in the church’s annual Passion Play, Gavin pretends to be a Christian. But, when Gavin lands the part, he soon discovers that playing Jesus will become the most important role of his career and life. 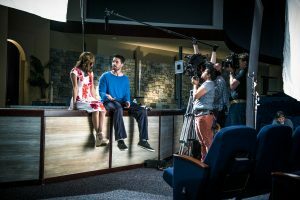 Host and French Reporter, Jackie Watson had the rare and exciting opportunity to sit down and speak with two of the film’s leading actors; Brett Dalton and Anjelah Johnson, who plays the PK (preachers kid) Kelly Richardson. The stars, both gracious and delightful souls, shared with Jackie the message behind the film and what it was like to play each of their characters. 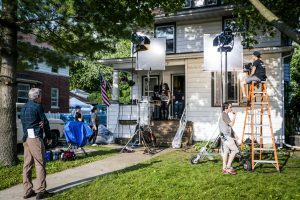 They were happy to share some of their experiences on set, their own personal beliefs, backgrounds, reasons for accepting their roles, and what they learned from the movie and the characters they portrayed. The film ‘comes to life’ nationwide in theaters on January 20th.